ISLAMABAD: The government is willing to accommodate any opposition candidate as the chairman of the Public Accounts Committee (PAC), even if he or she belongs to PML-N, except its chief Shehbaz Sharif and his close aides. This transpired during recent talks between the government and opposition. Those who are considered close associates of either former prime minister Nawaz Sharif or Shehbaz included Rana Sanaullah, Khawaja Asif and Ahsan Iqbal. PML-N sources said that Speaker of the National Assembly Asad Qaiser conveyed to the N-League leaders that Prime Minister Imran Khan was willing to accept even a PML-N lawmaker on the post, other than Shehbaz and a handful of other ‘hawkish’ leaders. The appointment of the PAC chief is likely to be finalised after Foreign Minister Shah Mehmood Qureshi returned to the country after the conclusion of his official visit to the United States. Senior PML-N leader Rana Sanaullah told The Express Tribune that PML-N would not accept anyone else other than Shehbaz as the PAC chief. Sanaullah insisted that if Shehbaz was not appointed the PAC chief, PML-N would not accept the leadership position of any standing committee. But a well-placed PML-N source dismissed this possibility, saying that it was just a pressure-building tool. The source said that despite repeated demands by opposition parties for appointing the PAC chief from among opposition members, Information Minister Fawad Chaudhry’s insistence against Shehbaz’s elevation as the PAC chief was indicative of the government’s plans. He cited several statements by the information minister in this regard. The government, he said, was also likely to accept someone from the PPP as the PAC chief other than “Asif Ali Zardari and Bilawal Bhutto-Zardari”. Discussions with senior PML-N leaders indicated that like the N-League, PPP too was eyeing the post of the PAC chief. It is learnt that PPP supremo Asif Ali Zardari wanted his son Bilawal Bhutto-Zardari to be elevated as the PAC chief. 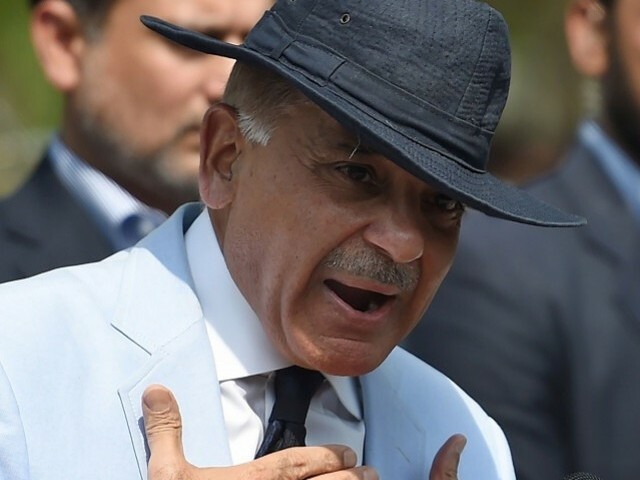 However, some PML-N leaders close to Shehbaz maintained that PPP and other smaller opposition groups, such as Muttahida Majlis-e-Amal (MMA) and Awami National Party (ANP), were willing to support Shehbaz’s candidacy. They are learnt to have started lobbying in this regard by reaching out to certain ‘favourable’ government figures to win them over for Shehbaz’s candidacy. But other key PML-N leaders believe otherwise. “PPP supports the demand that the PAC chairman must be from the opposition, but for its own sake. Bilawal is the PPP’s candidate for the post,” said a former federal minister, requesting anonymity. A PTI senator said that Khan would not ‘risk’ appointing either Shehbaz or Bilawal as the PAC chief. “Not only the Sharif family, but Zardari too are in deep trouble. They are facing cases of corruption and money-laundering. Bilawal’s elevation as the PAC chief would be a huge relief for Zardari. The PM would never want this to happen,” the lawmaker maintained.